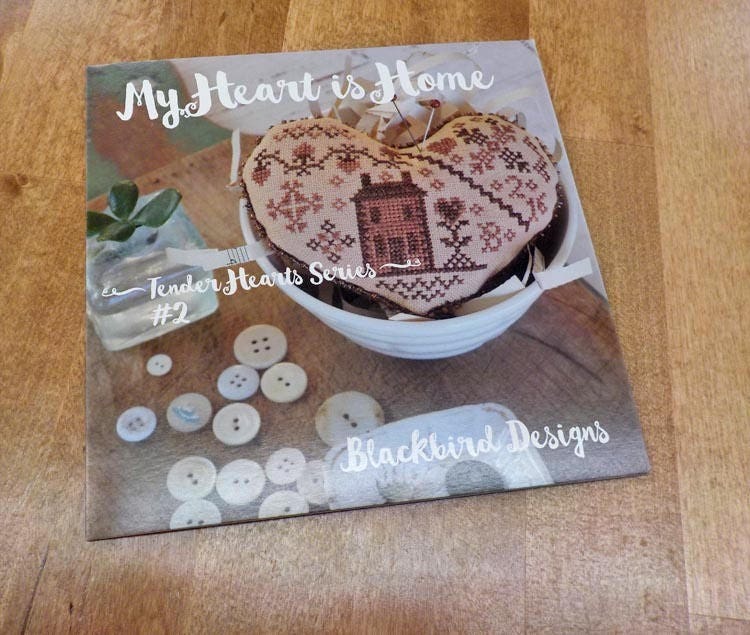 My Heart is Home, Tender Hearts Series #2, by Blackbird Designs...cross-stitch design. Celebrate your love of home with this "heartfelt" pinkeep. My Heart is Home finishes at 5 3/4 x 5 inches.